This is a simple one source, one target configuration, mirroring Volume X across the network. 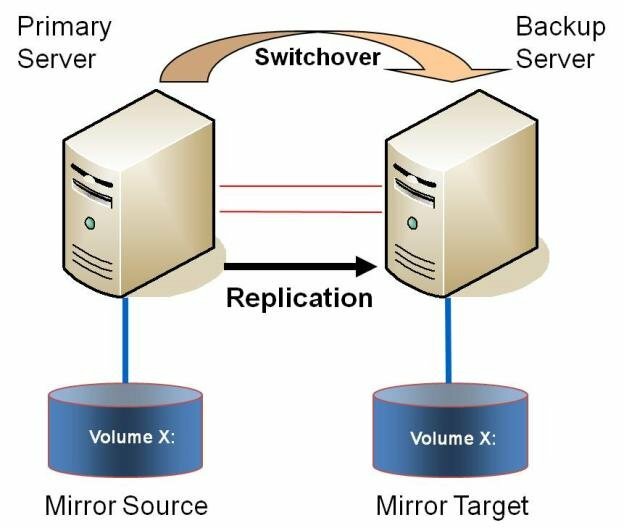 In addition to providing a second physical copy of the data, DataKeeper also provides the ability to switch over the mirror which allows the data to become active on the backup server. Replicate data on one or more volumes from a server in one city to another server in another city.